PT. KSM (Kartika Sinar Mulia) was established in Bandung, West Java, Indonesia. Over the years, our company has grown continuously. Currently our factory’s production capacity has increased to 7,000 tons per year with more than 200 employees. We are determined to keep developing our fabric range and expanding our production capacity. To ensure our quality and production efficiency, we always use the best materials and machines with advanced technology in our production process. In order to maintain fabrics quality, we inspect the fabrics that we produce to guarantee that it is according to excellent quality standard. PT. 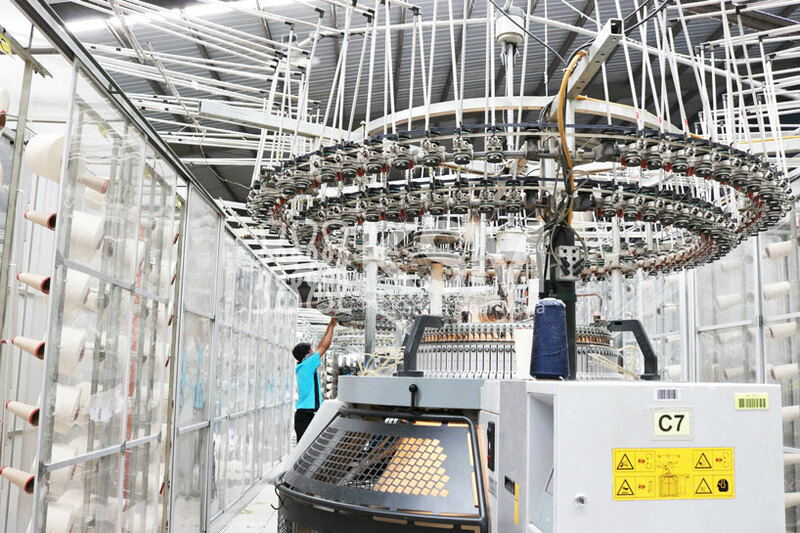 Kartika Sinar Mulia continues innovating various textile products to compete in both local and international market. With years of experience, we are ready to fulfil your knitted fabric needs.